LC Jewellery is one of the UK’s leading stockists of engagement rings, bracelets and dress jewellery, all available online through our store and at affordable prices. We guarantee that we won’t be beaten on price for Carat, Clarity and Colour. So buy with confidence today, safe in the knowledge that you’re getting one of the best deals online. LC belongs to the British Jewellers Association, which is the national trade association for the jewellery industry in the UK. We offer a 14 day money back guarantee and you will also receive an independant valuation from an accredited valuer and diamond gemologist, confirming the substantial savings you have made buying your engagement ring, necklace or diamond jewellery through us. 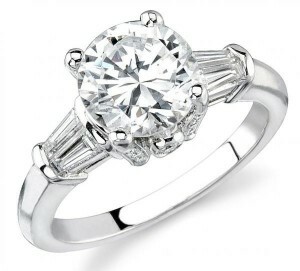 At LC Jewellery, we pride ourselves on providing our customers with exceptional quality, yet affordable diamond engagement rings at wholesale prices. We are able to pass on these great savings, as we deal directly with the site holder of the diamond mine, meaning we don’t deal with any intermediaries and therefore ensure our customers get the best price. We are so confident that you won’t find diamond jewellery at a lower price that we will give you your money back. All jewellery shown online is independently certified and valued by a third party (Gemological Institute of Europe) and the average sale price is approximately 30-50% of the valuation. So if you are buying as an investment, to sell on, or to simply treat yourself or a special one, we’re confident you won’t be disappointed. Please take a look and see for yourself and with our 14 day money back guarantee you can buy with confidence. Each purchase will come beautifully displayed in one of our luxury velour lined rosewood presentation boxes and recorded delivery is free of charge. For more information on our wide selection of affordable diamond engagement rings and jewellery pieces, please feel free to call LC Jewellery on 0161 8211026 – The UK’s leading wholesale jewellers.